Maryland residents stand to benefit from the new federal tax laws, said state Comptroller Peter Franchot. But he also said there are a lot of qualifiers. ANNAPOLIS, Md. — As a result of the Congressional action to change federal tax laws, most Maryland residents stand to benefit, according to state Comptroller Peter Franchot. But Franchot explained there are a lot of qualifiers. Franchot said that as a result of the analysis by the Maryland Bureau of Revenue Estimates, 71 percent of taxpayers will get a break on their federal taxes, 13 percent will pay more, and 16 percent will see no change. Of those who benefit, there will be an average gain of $1,741 per tax payer. 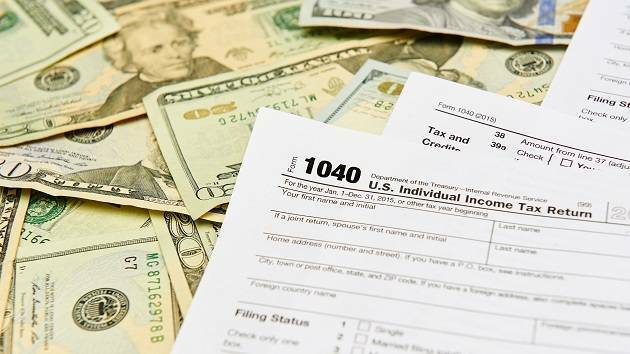 Franchot and Andrew Schaufele, the director of the Bureau of Revenue Estimates, said the complications come when taxpayers are faced with the decision of how to approach their state and local taxes. Under one scenario, if taxpayers focus on getting greater overall savings, the analysis said 68 percent of Marylanders would see no change in what they owe at the state and local levels, 28 percent would pay more and 4 percent would pay less. “The bottom line is that the majority of Marylanders are going to benefit from this tax legislation — at least in the short term,” Franchot told reporters after the briefing. According to the analysis released Thursday, Franchot said the state could see a boost to the general fund of $28.7 million in fiscal 2018 and an added $392.5 million in fiscal 2019. “Despite my skepticism about trickle-down economics, I hope that this will provide the long-term fiscal and economic stability that this promises,” Franchot said. At a news conference after the briefing, Maryland Gov. Larry Hogan announced the Protecting Maryland Taxpayers Act of 2018, a bill designed to blunt any negative effects of the changes to the federal tax code.